2015 was a banner year for LadySaint softball! The girls were looking strong as they moved into SPC week with an 8-4 record. Earlier this year Coach Doutlick said, “This is the best overall team I have had here at All Saints,” and it is apparent, as the girls have managed to back her up. 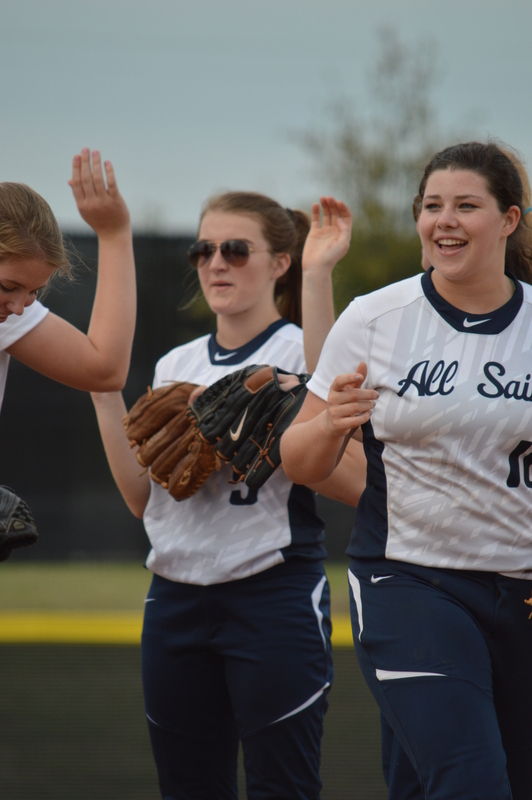 Captain and Seton Hall signee Brianna Wallace led the team from the catcher position along with Co-Captain Katie Seliga who controlled things from center field. The LadySaint’s finished 1-2 in SPC this week. After a close loss in Game 1 of SPC, the girls shed a few tears with the seniors and cherished the fact that they at least had two more games to play together as a team. In reflection, the LadySaint softball team had a great season this year. If they are able to build on their success this year, 2016 surely offers lots of promise!